Welcome to the first training session of the summer. The aim of these sessions are to help you prepare physically for your ski instructor training. We gave you Monday off but do not get used to that. This is the first session of a 5 week programme just to build a bit of a base level fitness. We will be posting 4 sessions a week for the next 5 weeks. We will be posting them on the evening before the day we suggest you perform the work out. DO NOT work at a weight that forces you to compromise your form or sacrifice range of motion or tempo. Before we go any further lets just get some technical jargon out of the way. Sets refers to how many times you will repeat that exercise for the set number of repetitions. For example, you do 12 squats and rest. Then you do another 12 squats, rest, and then another 12. You have now completed three sets of 12 reps.
1RM stands for one Rep Max. This is the maximum amount of weight you can lift for a single repetition in any exercise. 5 Minutes of dynamic body weight work with an incorporated active stretch. If you are after some guidance of what to do have a watch of this video. Box Squats – Perform 10 Sets of 2 Reps at 54% of your 1RM. Rest 60 seconds between sets. Try and return from the bottom of the squat to standing as powerfully and fast as possible. If you are unsure of your 1RM but know roughly the max weight you can perform 10/8/7 reps for then use this calculator to get a rough idea of your 1RM. 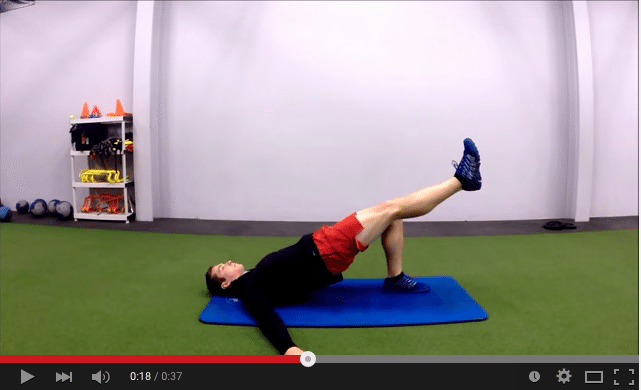 Single Leg Glute Bridge – Perform 3 Sets of 8 Reps. Rest 60 Seconds between sets. Pistol Squat – Perform 4 Sets of 10 Reps. Rest 60 Seconds between sets. Please watch the technique video for this VERY closely and select the right variation of pistol squat for your current level of ability. Full body stretch and foam roll.